Today, on the forums, we got our first concrete answers on the upcoming December 2017 update. It's just a few tidbits, but some of the news was pretty significant. Darian, the SuperCell Community Manager for Clash of Clans, answered messages as he often does and dropped these bits. First and foremost - there will be no TH12 ***OR*** BH8. This news is actually pretty huge. A lot of players on the main game ("DayMode") have been hoping for new content. There are a fair number of players at TH11 who are maxed and looking for something new. 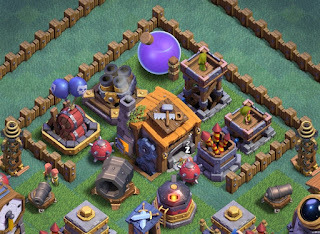 While the Builder Base certainly represents a great deal of new content and "stuff to do", many players still want to see more on the game they've invested years of time and effort into already. 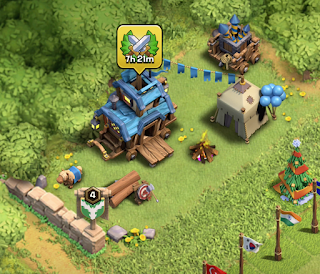 As it's been almost two years since the last new TH was introduced (TH11 in December 2015) there was speculation that TH12 might be coming this year. Defensive Capabilities - What your defense is capable of doing.Base Design - What YOU can do with your defense. Your goal, as a player, is to balance your game as much as you can across the Four Pillars. A balanced game will provide the greatest likelihood of success and enable you to move up the ranks. In our first article, we talked about offense - the first two Pillars of Clash, this is your Offensive Capabilities and Attacking Skills. They’re first because, in an offense-centric PvP game, they are the most important concepts. That’s not to say that defense isn’t important though. You have to strike a balance among the four pillars or the roof will come crashing down. Like its cousin in the offense category, Defensive Capabilities are what your defense is capable of doing in the game. It is represented by how many defensive structures you have and their level of development. The long made short - if you have more, you’ll do better; if they’re stronger, you’ll do better. Of course - if they’re weak or you don’t have as many, then your defensive game is weaker.